Nigella was one of the first people who taught me to love food, besides my grandma. I watched her first series many years ago on Canadian television (we had several British shows rebroadcasted) and loved it as much as I do today. There’s nobody like Nigella 🙂 I have her book “How To Eat”, how do you like Domestic Goddess? “Domestic Goddess” was my first Nigella book so it will always hold a special place in my heart! Wow these look amazing! I did not know that the brain worked that way either, firing the same if we watch someone or do the action ourselves. I love learning about the brain and finally it made sense to me as to why I couldn’t get enough Nigella! 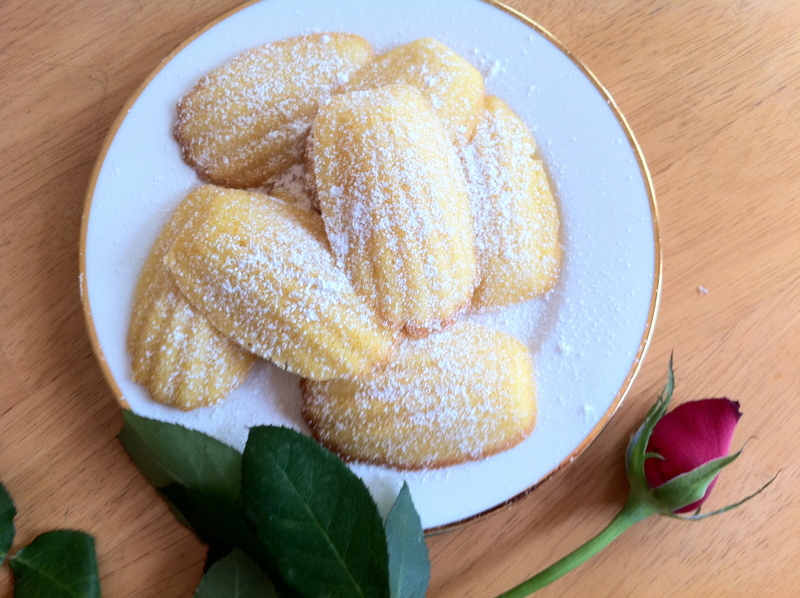 Yet another reason to buy a Madeleine pan! And, I absolutely love Nigella’s shows! Aren’t Madeleine pans so pretty! They’re a deadly combination when coupled with Nigella!